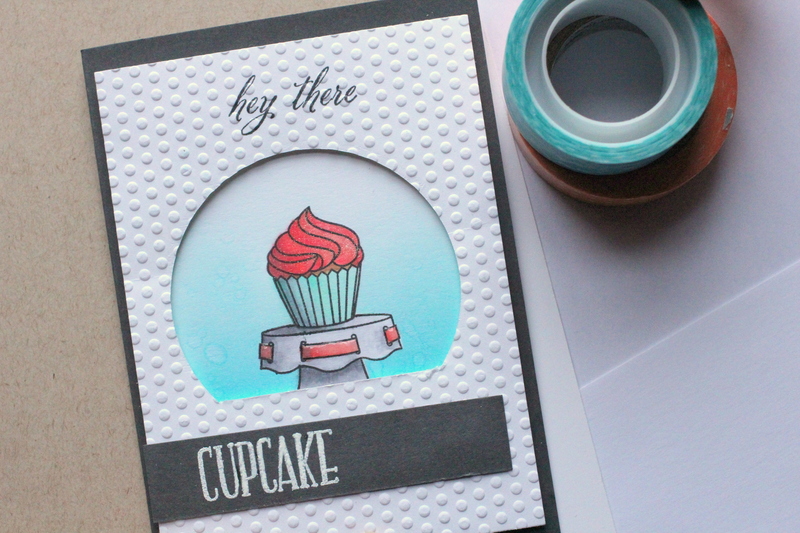 Today’s card features all kinds of fun techniques – heat embossing on the cupcake sentiment, dry embossing on the panel with cute little polka dots, masking to color the area behind the cupcake with distress inks, and partial die-cutting to create the circle window for my cupcake to sit in. Phew. 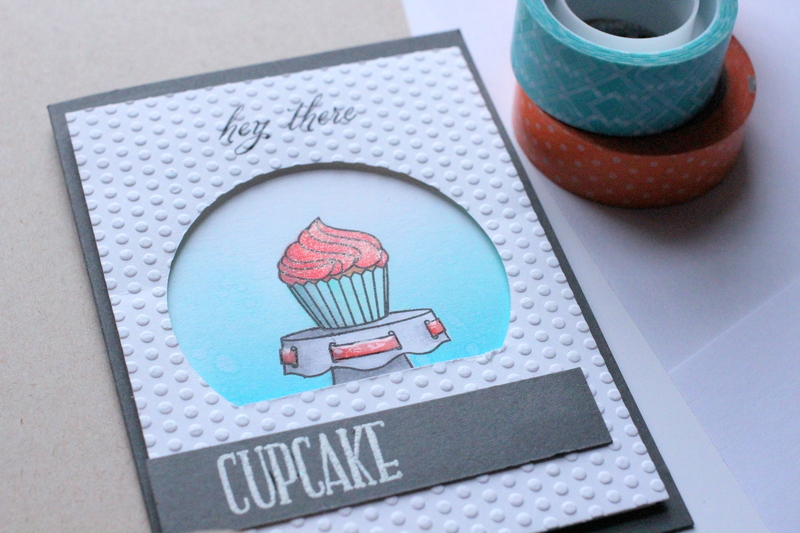 I colored the cupcake and stand with Copic markers, and then used a Wink of Stella pen to add some glitter to the cupcake frosting, and glossy accents to embellish the pink parts of the cupcake stand. 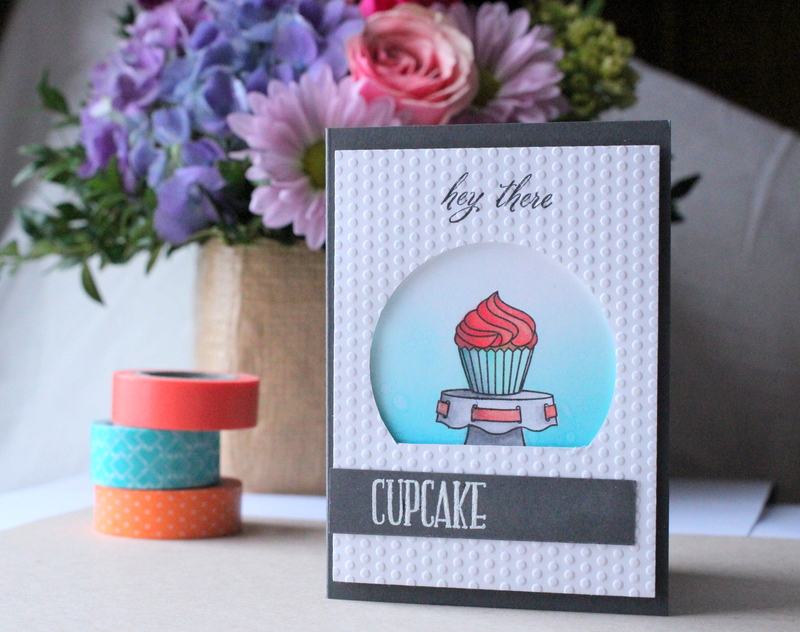 I can’t decide if this is a birthday card or just a cute note card. Either way, it’s making me hungry.